Moodle image is secure, up-to-date, and pre-configured to work out of the box. Moodle is an open source online Learning Management System (LMS) widely used at universities, schools, and corporations worldwide. It is modular and highly adaptable to any type of online learning. Moodle is a popular open source Learning Management System (LMS). It is widely used for online learning by universities, schools, governments, and corporations around the world. With a modular design and a library of over 1,000 plugins and extensions, as well as a well-documented API, it can be adapted to a limitless variety of online learning uses. 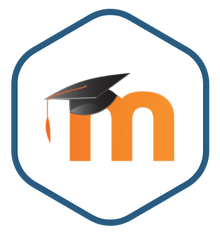 Moodle offers students and instructors a personalized dashboard listing courses and tasks, forums, wikis, and group calendars. It can interface with cloud services like Dropbox and supports notifications and private messaging between users. It is translated into over 100 languages, supports open standards such as the Sharable Content Object Reference Model (SCORM), and works well with screen readers. Moodle is supported by over 80 partner organizations worldwide. Powerful open source Learning Management System with modular design, over 1,000 plugins and extensions, and support for over 100 languages. Drag and drop course design with a simple interface, role-based permissions, and deep aggregate and individual reporting. Activity modules such as forums, databases, and wikis enable collaboration among students and teachers. Supports open standards such as Learning Tool Interoperability (LTI) and the Sharable Content Object Reference Model (SCORM). Extensible, with a well-documented API for integration with third party apps and tools.